Swimming, that’s what! After all, six million Aussies wouldn’t swim on a regular or occasional basis if they didn’t like the water. We all know that swimming is terrific for the mind, but did you know that being in the water also does wonders to one’s body, mind, and overall well-being? Being near it alone is already relaxing, soothing, and calming. That is one good enough reason to throw in a few pool bean bags in your home pool! Wait. What? Bean bags, we say? There are bean bags for pools that can breathe new life into this part of your home! And we’re here to tell you all about them. So, keep reading to learn about them and why you should invest in some! If there are 15 types of bean bags you should own, those that float in the water should be in your list. For starters, because they offer beginner swimmers a comfortable way to learn how to swim! As you know, staying afloat is the first step to water safety. The thing is, one needs to feel comfortable and calm to keep on top of the water. Not everyone can do this right away, even adults, which is most likely the reason a study found as many as 5% of adults in the Oz can’t swim. With water bean bags acting as a floatation aid, it can make swimming learners feel more at ease in the water. Also, since many of these chairs come in huge sizes, it covers more surface. So, aside from the pool’s sides, there will be something else in the pool to grab on to for support. That’s heightened pool safety for your home! Have you ever imagined yourself treading water in a tranquil setting? Or on your back, floating in bliss as if you’ve not a care in the world? Then a bean bag pool float is all you need, with a stroke of imagination! With this floating chair, you can relax in the middle of the pool, picturing where you want to take the wanderlust in you for your next adventure. You can relax and stay still, savouring those warm rays of sunshine while the comfortable chair embraces you. When you get a little too warm, you can jump into the water. Climb back on the chair with ease to dry off. Feeling a little low on Vitamin D? Well, the sun’s rays are all yours to load up on this essential vitamin for bone health! But, why not take your sunbathing to the next level and do it while in the pool itself? Yes, you may lie down on a comfy spot beside the water or in a lounge chair, but this can’t compare to the joy and comfort you’ll feel while floating on a bean bag though! Best of all, you can do other things as you revel in the feeling of the warm sun. Since you can stay dry on the floater, you can read a book or do anything else to help pass the time! Friendly reminder: Don’t forget to keep track of how long you stay under the sun though. We know that time passes by so quickly when you’re relaxing, but sun protection is as crucial as water safety. Water resistant bean bags don’t only make for a great addition to the pool itself. They also make for amazing comfort-giving seats by the pool. Say you want to relax, but some of the members of your fam are having too much fun making huge splashes in the water. In this case, you can lie down on the chair beside the pool and have as much fun as them. You may even feel so comfortable you’ll end up having that much-needed nap! There are so many reasons you want bean bags in your life, one of which is for better health. That’s right. Bean bags can help you rid yourself of aching joints and muscles! Thanks to their body-conforming materials and postural-support features that moulds with your body frame, you can let aches and pains melt away. Also, they won’t dig into your skin, unlike imprinted mesh chairs that make your skin look awful. Additionally, they’re perfect for lounging in to get some Vitamin D, makes water bean bags must-haves for your pool area. Whether inside or outside the house, bean bags offer a safer furnishing option. That’s because they don’t have pointed edges or hard components that can cause injuries and bruises. It is also a plus for households with kids since they can hurt themselves when they accidentally bump onto hard furniture. Even if you don’t have a swimming pool, you can still use pool bean bags to improve your outdoor space! Since these resist water, you don’t have to worry about them soaking up rain when the weather turns for the worst. The fact that they are waterproof makes them ideal furnishings, whether for the garden, patio, or deck. Also, you’ll find them available in many different colours and sizes so you won’t have trouble finding some that pair up with your other outdoor furniture. Pool bean bags are so versatile that you can use them anywhere in, around, or outside your house. From the outdoor area to the living room to bedrooms, these chairs can add a touch of colour and elevate the comfort and coziness of your home. So, why are you waiting? 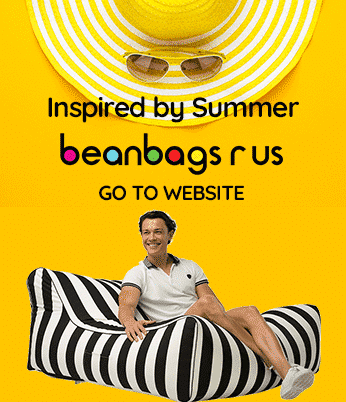 Start shopping around for your floating bean bags now! Check out our massive selection of these great furnishings that make swimming safer and more enjoyable.